1. Improper mold remediation practices can be health hazard. 2. Incomplete mold remediation will result in future mold growth. The safest way to get rid of mold completely is to hire qualified professionals who are experienced in mold removal. Hi-Tech Cleaning Services provides complete mold remediation services. Mold is a serious problem. A little mold might seem harmless, but appearances can be deceiving. Over time, it can cause property damage and significantly reduce property market value. More importantly, mold can cause serious adverse health affects, including asthma and allergies. Cleaning only the mold you can see without finding out why there was mold to begin with is like treating symptoms instead of curing the disease. Meanwhile, the mold problem can escalate underneath, behind, and within the visible surfaces of your property where moisture and humidity persist. We can diagnose and resolve your mold problem. At Hi-Tech Cleaning Services, our technicians are trained to use specialized equipment to identify sources of mold, to test the mold itself for toxicity, and to use the proper cleaning agents and methods to eliminate the mold completely. 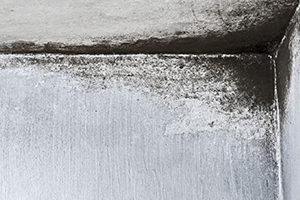 If your property in Westchester County, Yonkers or the New York City area has been affected by humidity problems, or water, flood or fire damage, it may require mold remediation services. We can provide professional consultation to assess whether you have a mold problem. If you have actually seen mold, contact us right away because mold problems can escalate very quickly. Either way, we are available 24/7 to respond to your needs. Contact us online 24/7 or call (914) 423-4600 to learn more about our Mold Testing & Remediation Cleanup services, specialty cleaning, and stone and tile restoration in Westchester County, Yonkers and the NYC Area.